Siobhan Russell has pre-empted this announcement by promoting these on Facebook, but it’s still very exciting. Rather than just go with another load of hats, I’m delighted to announce that our first order of facekinis with Myrtleville Swimmers logos will be arriving shortly from China. Here’s one of the offerings from the factory before the logos were included. You can see how fantastic they’ll be with the Dutchman added. Edging insanity indeed. 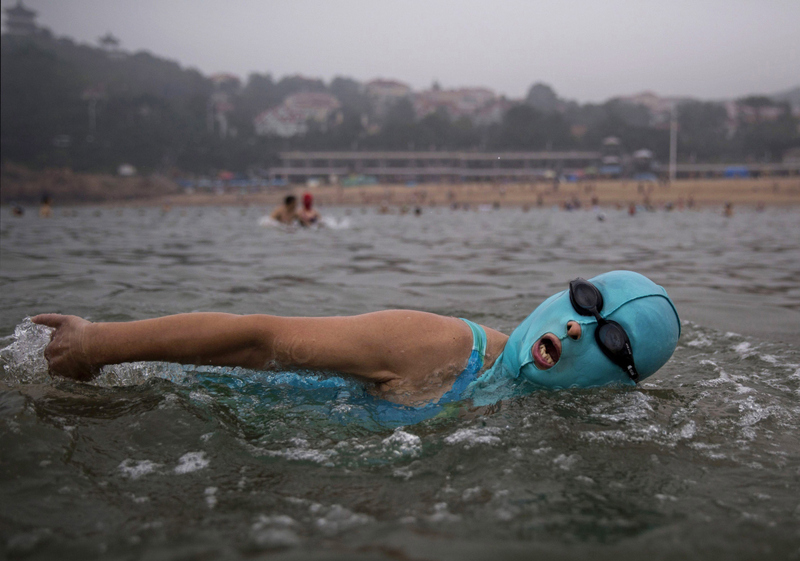 Facekinis are hugely popular in China to protect against UV damage and – most importantly – jellyfish. Jelly Haters, Dave Foley and Denis Condon have orders in, of course. I expect they’ll take off big time in Cork. Here’s a few swimmers trying out the matching suits also available. Well worth the money to look this good. You can see Bunny’s in the background. Have fun guessing who is who in this picture. 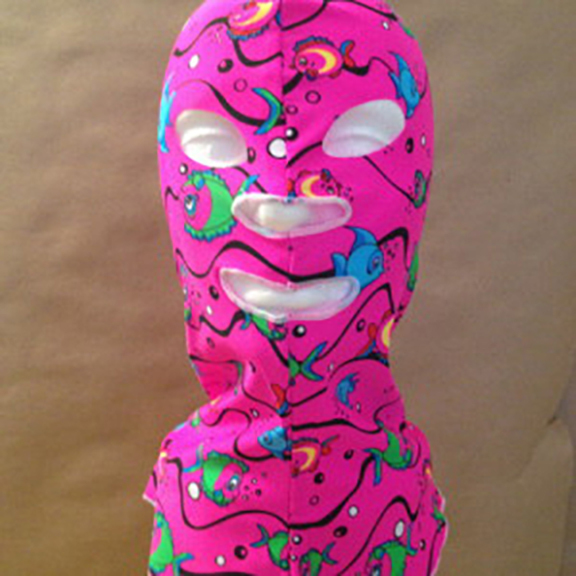 Pat Lowry handled the recent hoodie order so he’s volunteered to take the facekini orders as they flood in. Call him any time. Finally, to prove they’re not just about looking good and they don’t impede your swimming – here’s an action shot. She’s flying. Again, answers on a postcard for which local is modelling the facekini. This entry was posted in Information and tagged Facekinis, Open water swimming - Cork, Open water swimming - Cork - Ireland, Sea swimming - Cork, Sea Swimming - Cork - Ireland by myrtlevilleswimmers. Bookmark the permalink.